This is it. My favorite annual Shooting Challenge of the year. You go out into the grass and muck and photograph bugs. Photograph an insect, bug, arachnid, whatever! Many of you will dust off the old macro lens this week, which is fantastic. Others might repurpose a telephoto lens for ground-level close-up from a safe distance. Just—one request—please don't photograph dead bugs. It's morbid. PopPhoto has some excellent practical tips for you, like shoot early in the morning and be wary of your shadow. The Flying Kiwi discusses the controversies of flash and depth of field. Beautiful Bugs dissects macro photography—and specifically its use in bug photography—in a very easy to understand way. It's a good read if you're going macro with this challenge. 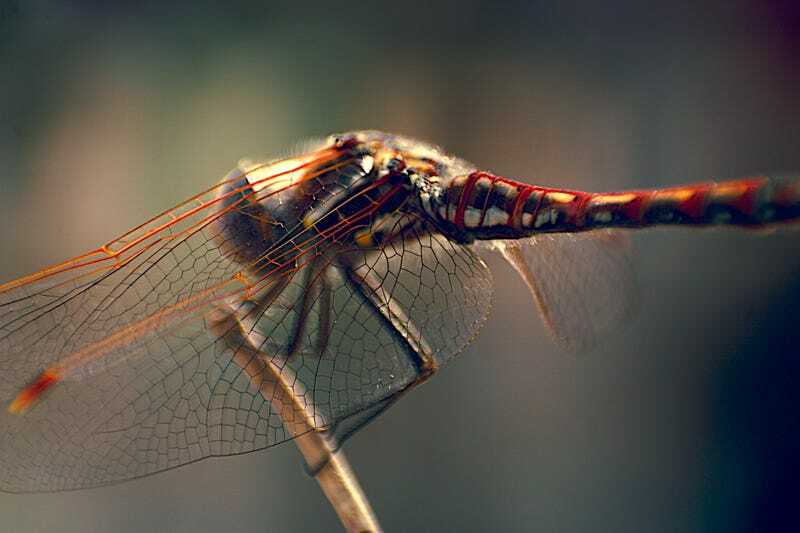 Our lead shot is from a previous year, by Jamie Metzger who captured this dragonfly using a Canon 300D, kit lens, and lens reverser in the Mojave desert. Send your best photo by Monday, July 22nd at 10AM Eastern to contests@gizmodo.com with "Insects" in the subject line. Save your files as JPGs, and use a FirstnameLastnameInsect.jpg (970px wide) and FirstnameLastnameInsectWallpaper.jpg (2560px wide) naming conventions. Include your shooting summary (camera, lens, ISO, etc) in the body of the email along with a story of the shot in a few sentences. And don't skip this story part because it's often the most enjoyable part for us all beyond the shot itself!